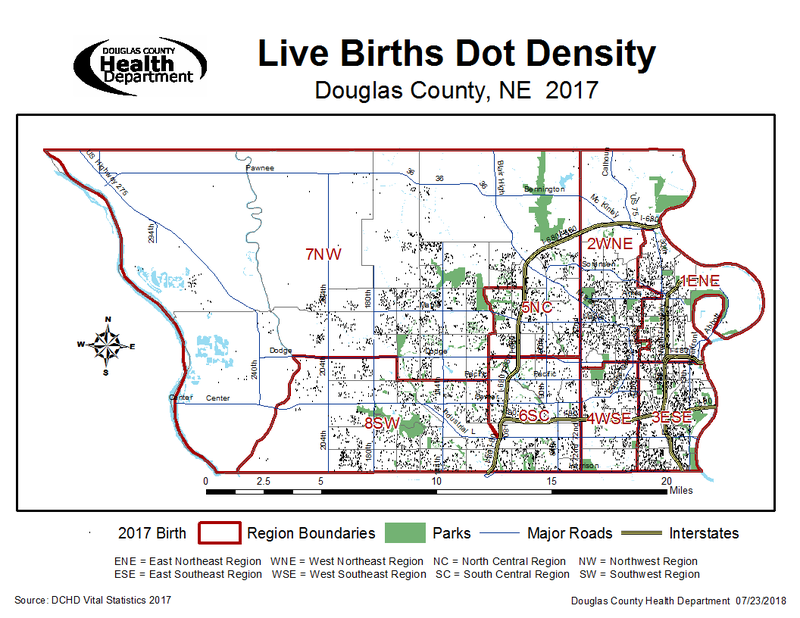 Birth data is information about birth events in Douglas County, Nebraska derived from Vital Records- namely birth certificates. 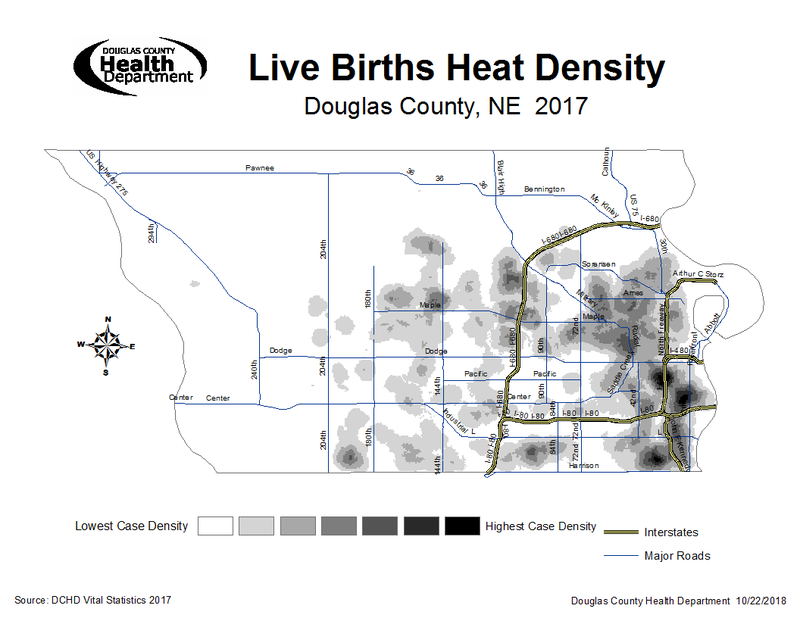 Information from birth records is useful in identifying and quantifying health-related issues in Douglas County, measuring and identifying health disparities, and tracking progress toward public health goals. Some data that may be of interest include: low birth weight births, maternal age, unmarried mothers and many others. This website presents a variety of birth data compiled by the DCHD Health Data program that may be of interest to public policy makers, medical professionals, students, and interested members of the general public. Click on the above maps for enlarged versions. Please contact us with any input you have to make our website a better tool to meet your needs!